Dressing up is something that every woman loves. And, finding unique kurta design for women can be a handful task. Nevertheless, you can explore and buy designer kurti tops for get togethers, family functions, parties and smart casuals at GetNatty. With multiple designers like Anju Agarwal, Anushree Agarwal, Bandana Narula, Jalpa Shah, Jasmine Bains, Kalpesh Khatri, Seirra Thakur, Vineeta Rajput, and many more, showing off their skills in designing designer kurti tops, you won’t fall short of options. From straight off the runway to comfortable everyday wear, we have all types of designer kurti patterns to cater your distinct personality. An added advantage of shopping with GetNatty.com is that your favourite fashion designer kurti is just a click away. 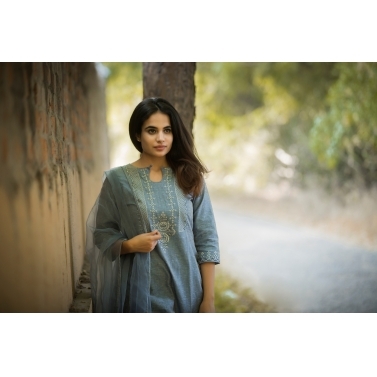 You can blindly rely on GetNatty to provide you with fresh, unique and trendsetting kurta design for women. 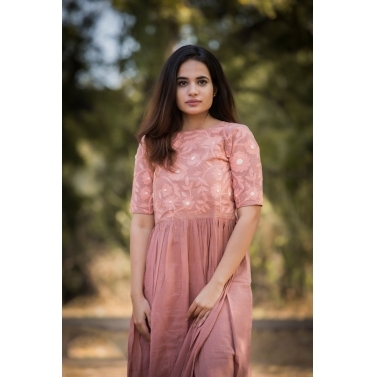 All the dreamy designer kurti tops in various colours like red, pink, yellow, white, red, black, blue, purple, green, metallic, orange, pastels, all of them has one platform- GetNatty. Whether you are located in any corner of India or worldwide, our fashion designer kurti are designed to appeal global shoppers. GetNatty brings you the best of designers across India with their tantalizing collection you wouldn’t want to miss. From casual tunics to blingy designer kurti patterns, each piece of fashion designer kurti is created keeping in mind the unique taste and preference of today’s women. Having unique silhouettes, stylish cuts and elegant embroidery, GetNatty’s designer kurti design are exquisite and classic. Variety of fabrics like cotton, linen, silk, rayon, denim, georgette etc. are used to create stunning kurta designs for women. To make fashion more easy for you, GetNatty also provides you with collection of kurta sets. This sets include designer kurti tops paired along with palazzos, churidars, patialas, culottes or pants. Even if you are longing to wear floral embroidery, lace work, gotta pattis or colour blocks, you name it and we have it all. GetNatty’s fashion designer kurti are worth treasuring for. Buy designer kurti tops that are protean and season-friendly. All the soon-to-be-brides out there, our designer kurti design and tunics are the perfect ensembles for your trousseau collection. Whether it’s meeting your in-laws or family get-togethers, GetNatty’s designer kurti patterns are distinct and aims to make you stand out from the rest. Each kurti has an element of traditional Indian heritage paired up with modern silhouettes. Need anymore reason to shop designer kurtis and tunics from GetNatty? One more reason to shop from GetNatty is that you get a chance to buy the complete head-to-toe look. Every single query regarding your styling is answered by GetNatty. Along with Kurtas and tunics, GetNatty offers an array of jewellery, accessories, handbags, clutches and footwear to complete your whole look. From minimal jewellery to bold accessories, we have everything to suit your vibes. Aren’t such reasons enough to shop from www.getnatty.com? !